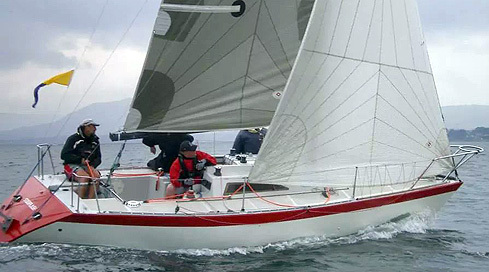 Since its formation in the early days of 2014 the Northern Ireland Restricted Keelboat Racing Association (NIRKRA) has made significant strides around and beyond the waters of Belfast Lough writes Tom Jobling. The class claims It is the fastest growing keelboat class in the country. Proof of this was evident at their recent 2015 planning meeting at Ballyholme Yacht Club; a transfer to a larger room was necessitated to accommodate the turnout of members. Tom Bell, secretary of NIRKRA said; "This is an owner-controlled class aimed at 'small keelboats' and designed to give competitive close quarter racing, but at reasonable costs." Robin Gray, the international race officer, added; "The emphasis is on keeping the class within a tight rating band so that racing can indeed be as close as can be. To this end, we use the RYA's NHC handicap system – it has worked a treat for us." NIRKRA has already attracted a variety of craft into the class – designs include: Manzanita, Starflash, Gibb Sea 80+, Bolero, Contessa 26, Ruffian 23 and Eyghtene 24... Already a number of new signings have joined the fleet in advance of the incoming season. These range from Sonatas to a Polish designed quarter tonner, the Conrad 760. This is very much a 'small acorns' nautical tale... and this season NIRKRA comes of age. As well as their Super Sunday outings, 'nirks' will be supporting the local Belfast Lough Yachting Conference regatta programme, as well as, the Royal North of Ireland YC's Brewin Dolphin Keelboat weekend. They will also have strong representation at the Volvo Dun Laoghaire week.